Jack Gets the Driver’s Seat! After years of being told what to, where to go, what treatments he had to endure, Jack is finally in the driver’s seat! We met 7-year old Jack after a teacher at his school nominated him through the Team Summer website! 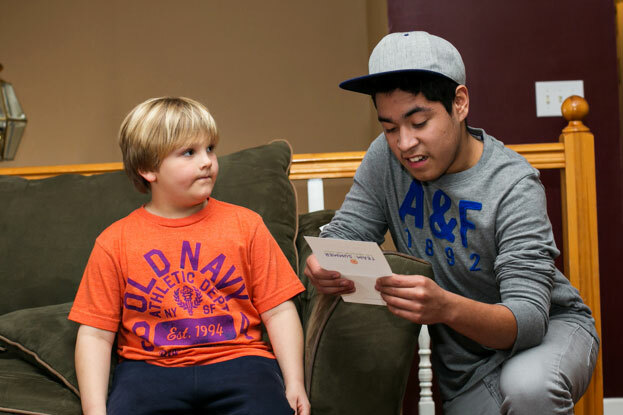 Jack battled leukemia for three years – as long as he can remember, if you think about it. 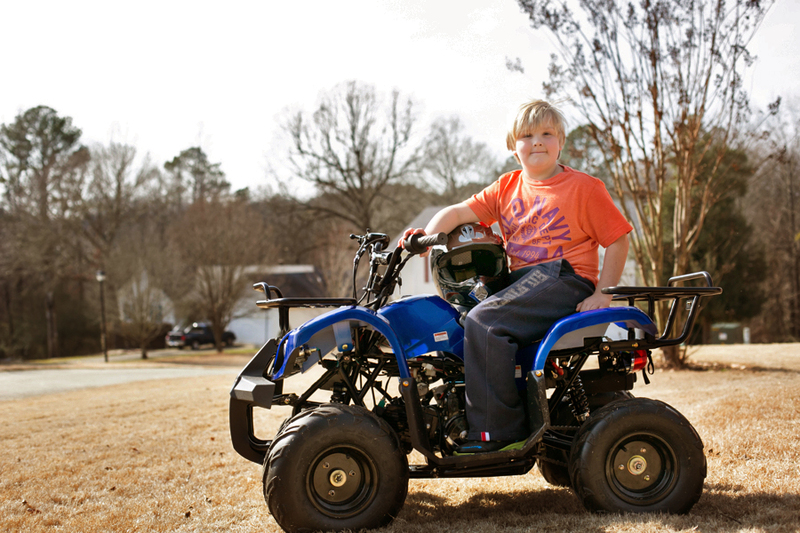 Finally, thanks to your donations to Team Summer, Jack got something he always wanted, an ATV (All-Terrain Vehicle)! When you spend so much time in the hospital, making friends is not easy. The one good friend Jack did have was a neighbor down the street. Problem was that the neighbor had an ATV, but Jack did not. Hard to play together. And when your parents are busy trying to pay hospital bills, an ATV is not high on the list. Antonio (right), who battled leukemia himself and is a previous Team Summer gift recipient (Summer herself gave him his cherished laptop), welcomed Jack to the Team Summer family. Remember, Team Summer gifts are always a surprise and Antonio took the duty of surprising Jack very seriously! After reading him the Team Summer letter, Antonio very carefully walked him down to where his gift was waiting and then VOILA! The big unveiling and the handing over of the keys! 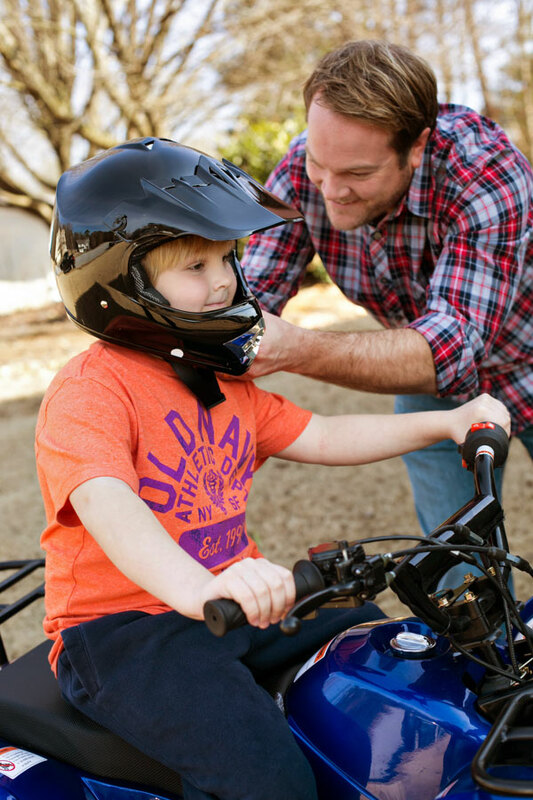 Jack is now the proud owner of his very own shiny blue ATV – with all the appropriate kid safety features, of course! Jack’s mom told us that after we left, Jack just keep on riding around the yard. It got dark, but that did not slow him down. He just flipped on his headlights and kept on riding. Many thanks to all of you who helped make this joyous day possible. And a super big thanks to photographer Alison Church, who volunteered her time and captured this day so beautifully! We understand that Jack already has a kid with cancer in mind to whom he wants to give a gift – paying it forward in the best spirit of Team Summer!